Vermont Brain Bee | a neuroscience competition for high school students. Mt Abe takes first place: Samantha Kayhart, adviser; William Wright, Ryan Lathrop, Emily Tardie, Brynn Winchester, Erik McLasaght, Club President, Lisa Bernardin, VBB Coordinator. What is the “Vermont Brain Bee”? The Vermont Brain Bee (VBB) is a competition for high school students who are interested in neuroscience and the functioning of the brain. These students can demonstrate their knowledge at the annual Vermont Regional Brain Bee at the University of Vermont in February of each year. The winner goes on to the National Brain Bee in Baltimore, MD in March during Brain Awareness Week. The NBB winner will be eligible to attend the International Brain Bee (www.internationalbrainbee.com). Learning about the brain has become a passion for Lisa Bernardin, a Middlebury Vermont resident and survivor of a traumatic brain injury that happened 34 years ago. 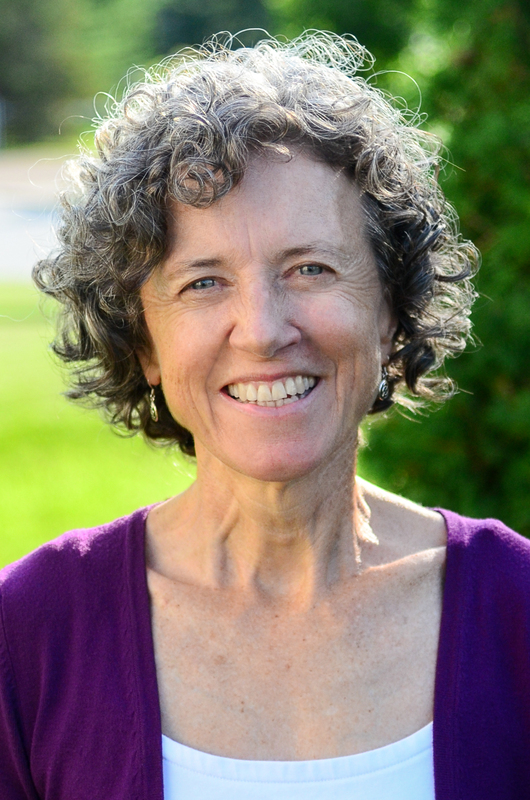 She states “I feel fortunate to be alive and functioning with my brain intact.” With this fascination, and with an education background, Lisa initiated the Vermont chapter of the Brain Bee. Two requirements listed on the international brain bee website state that to hold a regional brain bee students need to come from three different high schools and that a neuroscientist must judge the competition. Lisa was familiar with the VT school system and so contacted the University of Vermont Neuroscience Graduate Program. The event became a reality on February 13, 2010 and it continues each year and gives more inspiration to Lisa and those who have become involved with this fantastic annual Vermont Brain Bee. For the years 2010 and 2011, the Vermont Brain Bee was developed and run by Diane Jaworski, Ph.D., UVM associate professor of anatomy and neurobiology, and coordinated by Middlebury brain injury survivor Lisa Bernardin, with support from Holly Stradecki, UVM research technician in anatomy and neurobiology, Rae Nishi, Ph.D., UVM professor of anatomy and neurobiology and director of the Neuroscience Graduate Program, and Anthony Morielli, Ph.D., UVM associate professor of pharmacology and current president of the Vermont Chapter of the Society for Neuroscience, Mark Stefani, Ph.D., assistant professor of psychology at Middlebury College, Sharon Leach, Ph.D., clinical neuropsychologist and licensed psychologist at the Stern Center for Language and Learning. In 2012, Rae Nishi took over the helm for producing a wonderful 3rd Annual Vermont Regional Brain Bee on February 11, 2012. On June 4th, 2012, in attendance for the Spring Planning Committee Meeting for the 4th VBB were Rae Nishi, Lisa Bernardin, Mark Stefani, Sharon Leach, George Wellman, PhD, UVM Associate professor of pharmacology and current President of the VT Chapter of the Society for Neuroscience, and John Green, PhD, Assistant Professor of Psychology at UVM. For preparation of the 4th,2013 VBB the VBB Committee brought on a change with a stepping down of Dr. Mark Stefani and a new face with Gene Delay, Ph.D, Associate professor of biology and director of the UVM Undergraduate Program. An exciting event minus the challenge of a foot of snow the day before took place on February 9th where 30 students from eight schools participated. Photos can be found under the 2013 VBB with a photo of the winner, Nora Enright, sophomore, Otter Valley Union High School. The 5th Annual Vermont Regional Brain on February 8, 2014, was the best yet although illness and a conflict with other worthy events, reduced the number of participants to 20 from eight high schools. Colchester and Essex High Schools added some new faces too. Jonah Lefkoe, senior from MUHS, was the overall winner. Please view the 2014 photos and summary of this exciting day! February 7th, 2015, was the 6th Annual Vermont Regional Brain Bee. There were 35 competitors from seven schools with teams of four from six schools. This was a new feature of the Brain Bee and Mt Abe High School in Brisol took the honors of first place by a junior, Lyn Ackert-Smith and placed first in the team category! See the summary and photos on the 2015 page. The Vermont Brain Bee Committee worked hard this year, especially in it’s efforts to replace our leading and outstanding neuroscientist Rae Nishi, who left UVM in January. In her stead, we have two fresh faces, Liana Merrill and Sean Flynn, both of whom are UVM Associate Professors in Anatomy and Neuroscience. On February 20, 2016, the 7th Annual Vermont Brain Bee was held with 39 competitors from eight schools and six teams from five of the schools. Eliza Kissam and Ryan Martin, both juniors from Burlington Technical Center, placed first and second. Lauren Whitehouse, a junior from Essex High School came in third. In the team categories, Burlington Technical Center entered two teams and placed first and second with Essex’s team coming in third. The 8th Annual Vermont Brain Bee brought 10 high schools to the Larner Medical Center at the Univerisiy of Vermont on Saturday, February 18, 2017. Many familiar schools were present, but the Bellows Fall Union High School from Rockingham showed up with seven enthusiastic high school students. It was MT Abe that shined with junior, Aidan May, taking first place, senior Tim Qingxi, from So. Burlington Union High School, was second; and Martin Ryan, a senior from the Burlington Tech Center, came in third. In the team category, Mt Abe students placed first and Middlebury Union High school students, came in second place. On February 10th, 2018, the 9th Annual Vermont Brain Bee was held at the Larner College of Medicine with nine high schools from as far as Brattleboro Union High School this year. Isabel Rosenberg, a senior from Middlebury High School took first place as she battled it out with second place finisher, Isabelle Petrucci, junior, Essex High School and third place went to Vilena Lee, a junior from Burlington High School. Our keynote speaker was Karen Lounsbury, PhD, UVM; “The Influence on Drugs on the Brains Pleasure Pathways”. 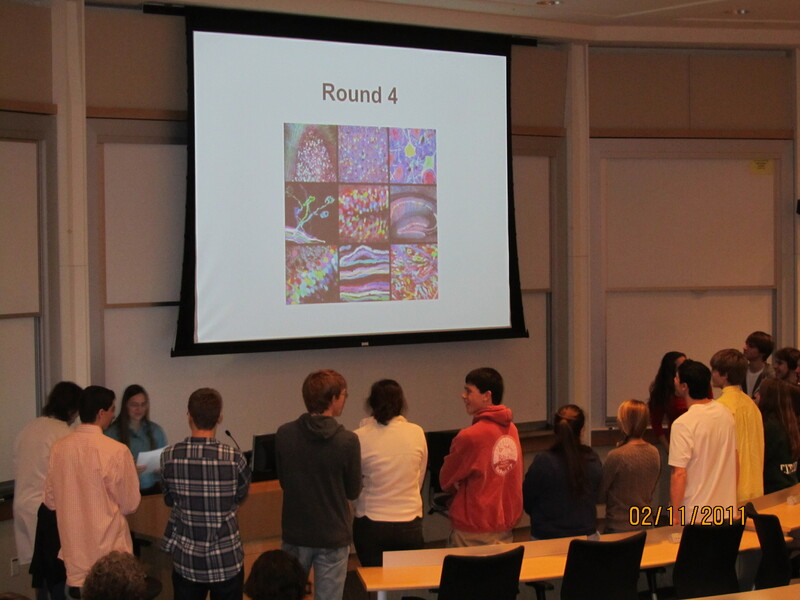 The 10th Annual Vermont Brain Bee happened on February 9th, 2019, at the Larner College of Medicine at the University of Vermont, There were seven high schools and 48 participants that came for an exciting day. Vilena Lee, a senior from Burlington High School was the overall winner. Isabelle Petrucci, senior from Essex High School placed second and Grace Widelitz, a senior from MIddlebury Union High School came in third. Mt Abe was the overall winning team with Essex in second and So. Burlington third place.